As part of Maths Week, pupils of Infants and 5th and 6th came up with some maths problems based on the school environment. 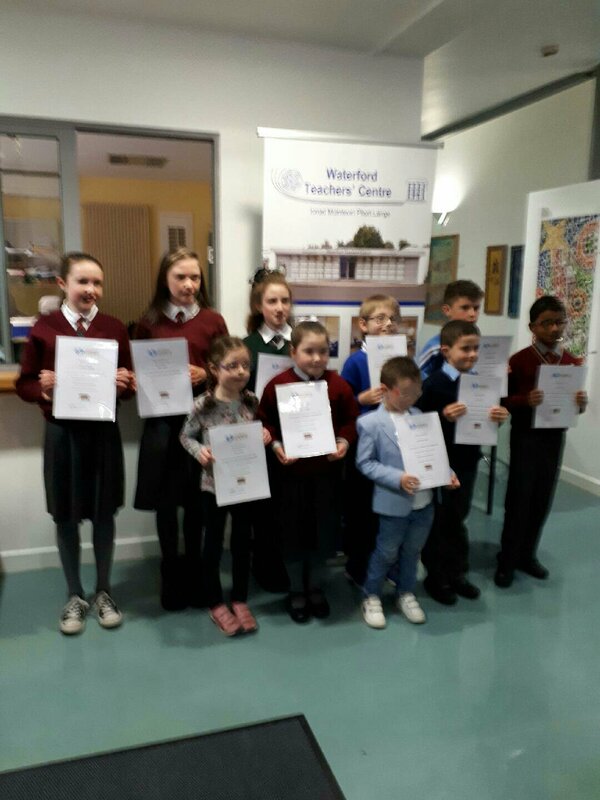 The ‘Maths Eyes’ competition was organised by the Waterford Teachers Centre. Kate from 6th class won with her question about Roman numerals and Clara of senior infants helped by Annie of 6th class won for her problem based on teddies. A prize giving ceremony took place this evening [Wednesday] at 6pm for the winners. By ballynealeadmin in MATHS, NEWS, Uncategorized on November 8, 2017 .